Yesterday, I posted about the outdoor items at the Olde Good Things warehouse in Scranton, Pennsylvania. 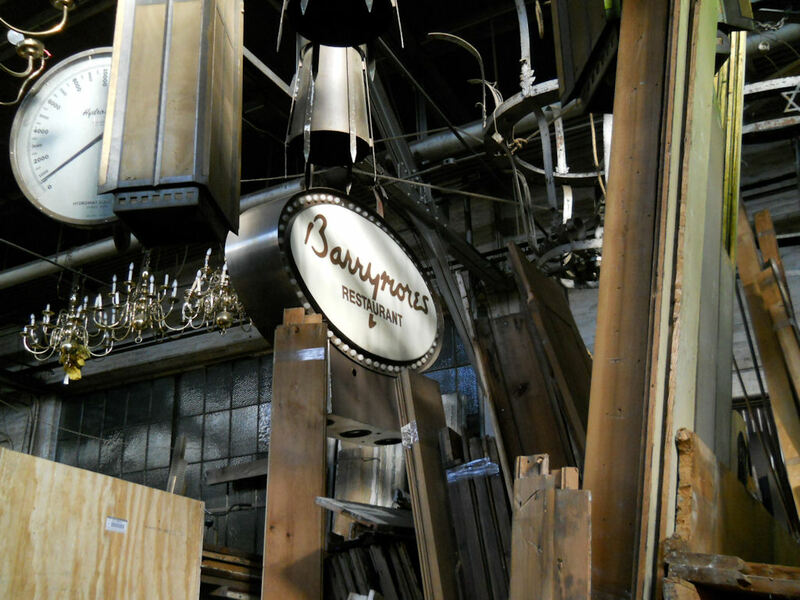 While organizing the pictures for a future post, featuring some of the items from inside the warehouse, I remembered taking a picture of the “Barrymores Restaurant” sign. When I first saw the sign among the treasures at OGT, it seemed vaguely familiar. Upon doing a little research, I now know why. I have been to Frankie and Johnnie’s Steakhouse in New York City’s “Theater District” on West 45th Street a few times (though the last time was probably 5 or 6 years ago). Barrymores was the restaurant next door! Sadly, Barrymores was shuttered in 2006 (another victim of Manhattan’s crazy real estate market). 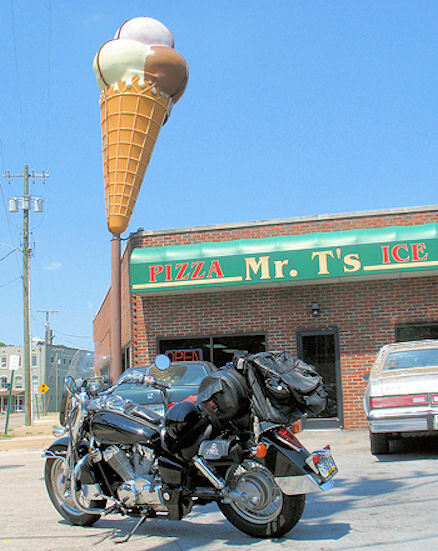 I love this oddly-shaped memory of New York City’s days gone by. I hope it finds a good home. 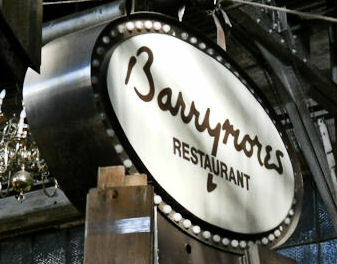 Have you dined or had drinks at Barrymores? Please feel free to comment below and share your story! * Click here, if you have an extra $2,500, you can add this gem to your collection.